Many local students will be attending different schools this upcoming academic year. On Wednesday, the Prince William County School Board approved new boundary changes. 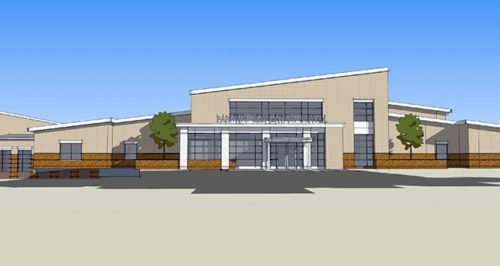 The board must change the attendance boundaries, because the division’s newest school, which is referred to as “Prince William Parkway Elementary,” is opening this fall, according to a release. Additions are being made to Antietam, Lake Ridge, Springwoods, Leesylvania, and Minnieville elementary schools, as well. Through the approved plan, some students attending several elementary schools — Antietam, Belmont, Featherstone, Kerrydale, Kilby, Lake Ridge, Marumsco Hills, Minnieville, Occoquan, Old Bridge, Penn, Potomac View, Rockledge, Springwoods, Vaughan and Westridge — will be reassigned. Those who are rising fourth or fifth graders at the schools impacted by the boundary changes may stay so as they find their own transportation. About 40 of the estimated 60 classroom trailers will be removed from area schools as a result of the changes. Many county residents voiced their support for the plan during the board’s meeting. Westridge Board of Trustees President Tom Burrell thanked School Board members Lillie Jessie, Diane L. Raulston, Loree Williams for creating the plan. “We believe that the plan put forward by Ms. Jessie, Ms. Williams and Ms. Raulston takes the community into consideration and — more importantly — takes into consideration our children,” Burrell said. Other meeting attendees said that updates were made to proposed plans on Tuesday and asked the board to delay the vote.